Chapter 1 begins with Moses going up to Mount Sinai to receive the Law the Lord commands him to create a book so that his descendants will know what has happened on the Mountain. The Lord tells Moses the people will not keep the Law, they will worship idols, and they will be punished for these transgressions. The prophets will be “witnesses” to encourage the people to seek the Law. Although the Lord promises not to forsake the people even in their exile, Moses intercedes on their behalf (as he does in Numbers frequently). He prays that they do not allow the spirit of Beliar to rule over them, but the Lord tells Moses that they will be unfaithful, but they will be restored. Jubilees therefore deals with the same theological problem as Romans 9-11, ‘”has God forsaken his people?” Moses therefore dictates the words of the book to an angel who writes in on tablets. The history which follows is based on “jubilee years,” or sets of “seven” years. The second chapter summarizes creation. For the most part the text is generally in line with Genesis 1 until the description of the Sabbath beginning in verse 17. This is more detailed and is connected with the people of Israel (“I will sanctify them for myself,” verse 19, cf. 31-33.) Verses 26-33 expand this description greatly, calling the Sabbath holy and demanding death for anyone who pollutes the day. There are twenty-two generations from Adam to Jacob, and twenty-two kinds of work created before the first Sabbath. This number is probably based on the number of Hebrew letters. The naming of the animals takes Adam the six days of the next week (ch. 3). Woman is created late on the second sixth day, the text reads about like Genesis 2. Along with the material on marriage there is also a section on purification ritual after child birth (seven days for a male, thirty three days for a female.) This grounds a major element of ritual purity in the creation story (along with Sabbath and marriage.) Adam and Eve are in the garden for the first jubilee of seven years before the temptation and fall occur. These stories follow Genesis 3 closely, although there is a variant which implies the serpent had four legs prior to the fall. After Cain murders Abel there is a long section dealing with marriage in the first few generations (Jubilees 4). Where did Cain get his wife? Jubilees tells us it was his sister Awan. The genealogy section climaxes with Enoch (16-26). Enoch is the first to learn wisdom and writing. Adam dies seventy years short of one thousand because “one day is like a thousand in the testimony of heaven” (verse 30). 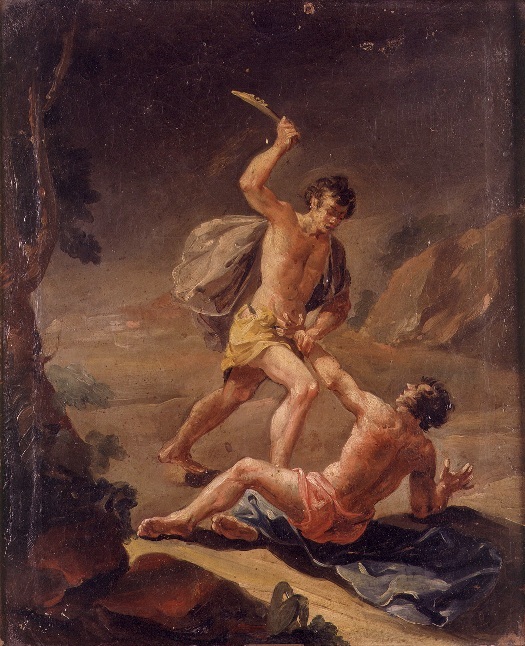 Cain is killed after the death of Adam (his house collapses on him.) This is considered a just punishment for the murder of his brother. In chapter 5-6 increasing wickedness of humanity leads to the flood. Verses 1-11 are close to the story in Genesis, but in 12-19 we are told that God will create a new, righteous people (Israel). This new righteous people will be the judge of the unrighteous who perished in the flood. After the flood, God makes a covenant with Noah. This is an important point in history since many later Jewish consider this passage to be God’s covenant with the Gentiles. In Jubilees 6:1-10 the story runs parallel to Genesis 9, but in 11-16 there is a significant departure. Noah makes a second covenant with the nation of Israel. This covenant is to be renewed each year during the feast of Shebout. Once the land dried out Noah ordained feasts for “eternal generations.” Since these feasts are important remembrances of God’s Covenant it is important to know when to celebrate them. Verses 32-38 deal with the calendar, advocating a 364-day calendar so that the feast days fall at the right times each year. Chapters 7 deals with Noah’s post-flood activities. After he sacrifices, Canaan is cursed because of Ham’s sin and Shem is blessed. The text of Genesis is expanded by adding a list of the cities built by each of the sons of Noah. The chapter concludes with a “testament” of Noah parallel in form to the testamental literature. The moral exhortation in this testament is based on the Noahic covenant (avoid blood and fornication.) While this was expected from the biblical text, Noah’s commands concerning the first-fruits are unique. He gives commands on when to harvest from a new tree and how to reserve a portion for the altar of the Lord. Noah cites Enoch as an authority for this commandment. The sons of Noah are described in chapters 8-9. Cainan discovers astrology from a stone inscribed by a pre-flood ancestor. He transcribes it and thereby participates in the sin of the Watchers. The earth is divided among the three sons of Noah, and the regions are described in 8:12-9:13. If anyone violates these boundaries, they are cursed (9:14-15). After a notice of the death of Noah (who was more excellent than anyone except Enoch, vss. 15-17), the story of Babel is re-told nearly parallel to the biblical account. After this time, however, Cainan seizes Lebanon from his brother Shem and is therefore cursed. This also is used to explain the name of the land as “Canaan” (verse 34). This version may serve to absolve Noah of any responsibility for planting the vineyard after the flood and getting drunk, leading to the sin of Ham. I appear to have dropped “not” from that sentence! Thanks for pointing this out, Joe.